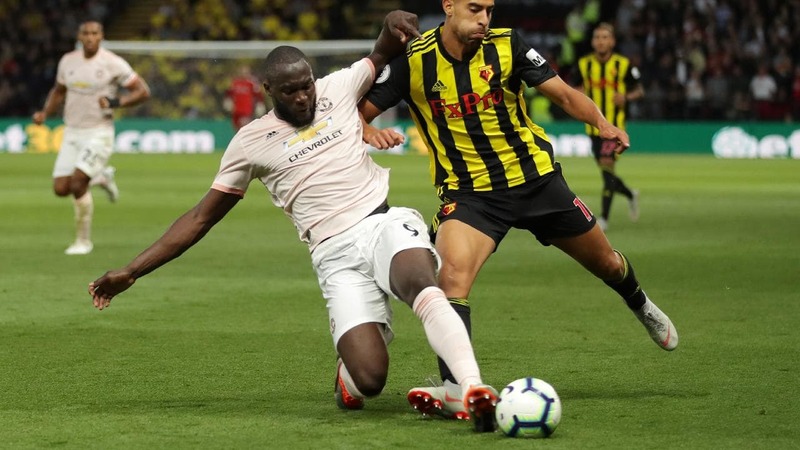 JOSE Mourinho hailed the spirit of his Manchester United team after they withstood intense late pressure from early Premier League pacesetters Watford to win 2-1 and relieve the pressure on his shoulders. United have endured a miserable start to the season, losing two of their first four matches and slipping well off the searing pace set by Liverpool, Chelsea and Watford themselves. Rocked by United’s strong finish to the first half, Watford pulled a goal back midway through the second period through Andre Gray but failed to find an equaliser. A relaxed-looking Mourinho singled out Lukaku and Marouane Fellaini for praise. “I’m very happy with the points,” he said. “I’m very happy with the spirit, I’m very happy with something that represents for me the spirit of the team -- which is a Lukaku sliding tackle after 50 metres running back to help the team.” The Portuguese manager said he had picked Fellaini to beef up the defence for the past couple of games after costly defensive errors against Brighton and Tottenham. Mourinho opted for power rather than guile at Vicarage Road with a physically imposing midfield trio of Paul Pogba, Fellaini and Nemanja Matic. Watford failed to clear a free-kick and when the ball came back in, Lukaku was on hand to bundle home off his midriff to score his seventh goal as many games for club and country this season. But Javi Gracia’s side came right back into the game in the 65th minute when Abdoulaye Doucoure picked out Gray, who arrowed a shot past De Gea. That goal infused the team and the fans with renewed belief and United suddenly looked shaky as Watford poured forward in search of an equaliser. There was late drama when Matic was sent off for a second yellow card but De Gea brilliantly kept out a Christian Kabasele header from the resulting free-kick. Gracia, whose side came into the match on the back of four straight wins, said his team had been outplayed in the first half but had responded well after a team talk. “I think in the second half we made a step forward and we were able to get out and try to create more chances, with more possession and we competed better,” he said.